When I first looked at this snapshot I wondered why it was taken? 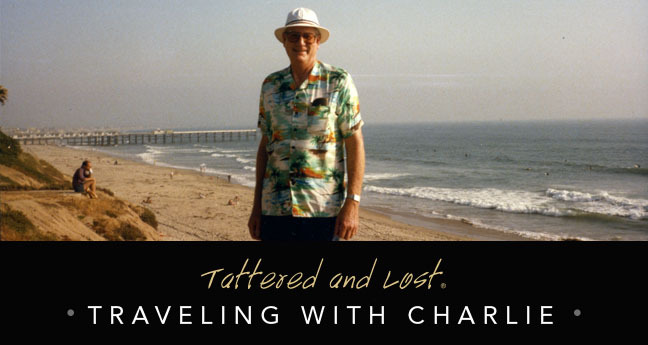 Was it the bush that so entranced Charlie and his traveling companion? 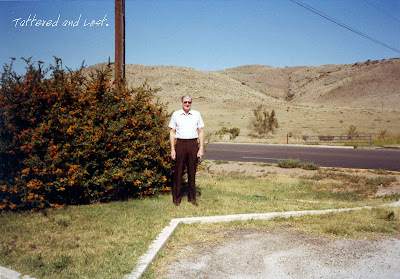 Was it the barren hills across the road? And then it hit me. It's the Fort Davis Triangle! You've heard of it, haven't you? It's that place in Texas where plants, animals, and wagon trains just magically disappear...behind a giant bush covered in red berries. You'll notice that only a portion of that telephone pole is showing. I rest my case.